You probably shave or apply makeup in the morning, comb your hair, and give some consideration to your outfit for the day. Why? It is human nature to crave acceptance. Knowing that others find you pleasant to look at is important to how you feel about yourself. That is one of the reasons professional dental whitening is a popular service at Richmond Family Dentistry in Richmond, VA. In Dr. Olivia Hart’s care, whitening is a safe and healthy part of an individualized plan of holistic dental care. Holistic (also known as biological or natural) dentistry is an oral care philosophy that takes the wellbeing of the entire patient into consideration. Each treatment is intended to improve the harmonious relationship of mouth, body, emotions, and spirit. While mercury-free fillings, safe removal of amalgam, and metal-free restorations are a big part of biological dental care, there is plenty of room for cosmetic enhancement, too. Dr. Hart utilizes non-toxic materials, products, and techniques to keep smiles looking their healthy best. Your smile is one-of-a-kind, and so is the delicate balance of your personal physiology. As a holistic dentist, Dr. Hart takes extra precautions such as material-body compatibility testing to ensure the safest possible treatment choices. Biocompatibility testing determines your body’s sensitivity to individual components used in dental materials. With this precise information, Dr. Hart recommends materials aligned with your body chemistry, to minimize the risk of reaction and resulting latent health issues. At Richmond Family Dentistry, YOU are a vital part of the cosmetic treatment planning team. The doctor takes as much time as necessary to understand what you would like to change about your smile. Together, you discuss appropriate treatment options and look at before and after photos. Cosmetic bonding – This tooth-colored composite is free of BPAs. Dr. Hart uses it to artistically recontour teeth, repair minor damage and wear, and close gaps between teeth. Bonding can be an economical alternative to veneers or orthodontics. It is usually completed in one visit, without numbing. Mercury-safe filling replacement – If you choose to have silver-colored amalgam fillings replaced, you can count Richmond Family Dentistry to perform the task in accordance with strict IAOMT protocols for safe removal. Mercury-laden restorations are then replaced with composite bonding material, or porcelain crowns, inlays, or onlays. In many cases, these procedures require only one visit, thanks to CEREC technology. Porcelain veneers – This premier cosmetic enhancement is often responsible for the noticeable difference between celebrity smiles and nice, everyday smiles. Thin layers of lustrous dental ceramic material are meticulously shaped to fit over front teeth, bringing stunning brightness and uniformity to the smile. Tooth replacement – You may choose a fixed ceramic dental bridge, or a removable partial or full denture to replace missing teeth. Dr. Hart also offers non-metal zirconia dental implants, that become fused to the bone for long-lasting tooth replacement. Implants are an easy-care solution that looks completely natural. Clear braces – Whitened teeth look even better when they are straight and evenly spaced. With clear braces, you can get that look in about a year, without a mouthful of noticeable hardware. Laser wrinkle reduction – This non-invasive treatment stimulates your body’s natural ability to smooth fine lines and wrinkles through increased collagen production. There is no downtime or scarring, and SmoothLase is ideal for improvement in lip lines and sagging jowls. Despite all those options and more, dental whitening remains one of the most requested cosmetic services at Richmond Family Dentistry because it gives the smile an affordable yet noticeable boost. Once the doctor has ascertained that your mouth is healthy, she creates custom-fit application trays. You receive a supply of medical-grade whitening gel that penetrates pores in tooth enamel, lifting stains as it oxidizes. Use the system according to Dr. Hart’s instructions, in the privacy of your home, until tooth color is lightened to your liking. Then, with occasional re-treatment, your smile stays bright. 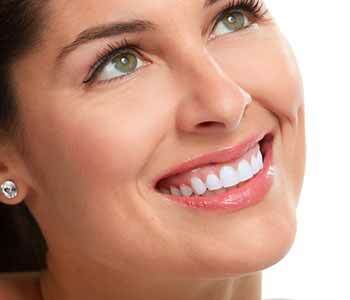 For patients in the Richmond, VA area, dental whitening can be part of a seamless program of holistic dental care. Call (804) 381-6238 to schedule an appointment with Dr. Hart.